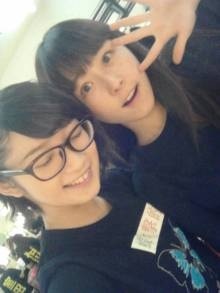 Uta chan with her favorite - Miyabi san! LoGirl imterview translated by acorntimes from tumblr. What were you feeling when you found out you were in Country Girls? My first feeling was surprise. But, I really didn’t know what to feel. It was like I could finally think to myself “I passed”. When you found out you passed, did you say anything to the other members? I had met Ozeki Mai at the audition, but I didn’t know her very well. But, after the announcement Mai came up to me and said “We’re Country Girls! Country Musume! Wooo!” So, maybe it was just me that felt like I didn’t know her. How was your families reaction? They said “Congratulations,” but like me, my mom didn’t know how to react. There haven’t been any special celebrations. I liked the idea of being in the entertainment industry, but I didn’t necessarily want to be an idol. I just liked Morning Musume, so my mother put in an application for me. After I passed the 2nd and 3rd round, my interest in joining grew; then I really wanted to make it. 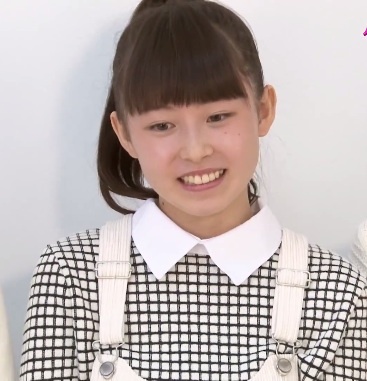 When did you start liking Morning Musume? When I was in the upper grades of Elementary School. What Morning Musume song leaves an impression with you? I auditioned with the song “Toki wo Koe Sora wo Koe” so it leaves a lot of memories for me. Which person do you most admire in Morning Musume? 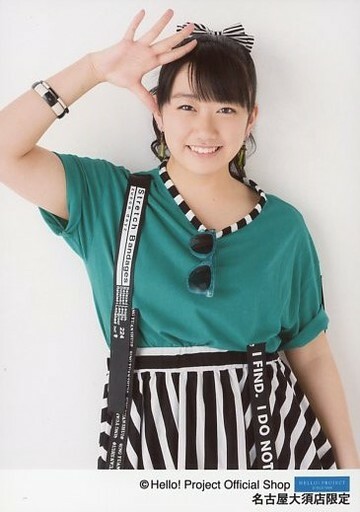 Sayashi Riho. Her dancing and singing are amazing, I like watching her. 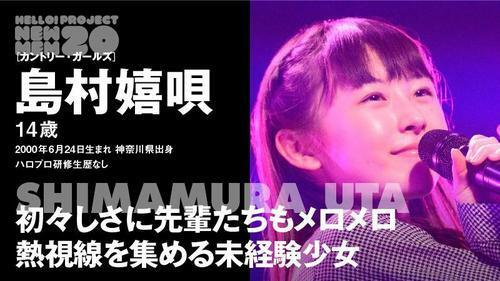 Uta-chan is in an inexperienced unit, so which is more difficult; Singing or dancing? Dancing. I think I’m good at learning the dance itself, but I’m not good at actually doing the actions…I can’t catch up. Dancing is definitely troublesome. What kind of things do you want to focus on in Country Girls? I’m inexperienced so I want to continue growing in terms of singing and dancing. 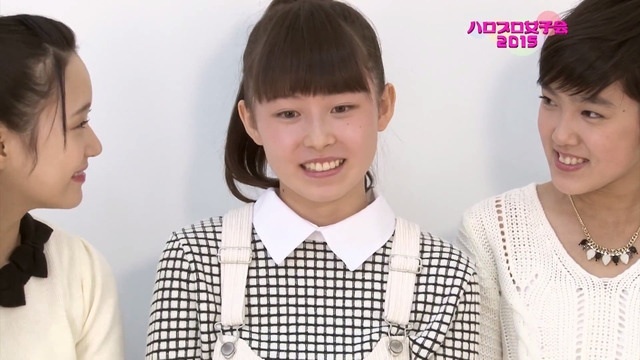 Also, there is Tsugunaga Momoko, ahh, Momochi-Senpai, so I’d like to become good at talking on variety shows. 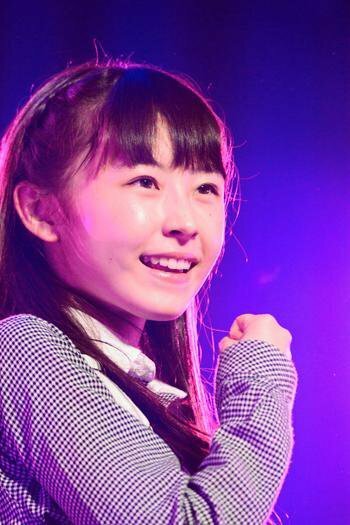 Are you nervous during your beginning solo part in “Itoshikutte Gomen Ne”? I get embarrassed every time…Every time, the fans yell “ohhh!” and I get embarrassed by it, every time. Is there an animal you think you’re like? My mom says I have a small back, so she thinks I’m like a rabbit. She is moody, so maybe she’s like a cat. When you’re at school are things different now that you are in Country Girls? Things have been very normal. Its very quiet because people are serious about studying, but when they found out I was in Country Girls everyone was pretty noisy about it. 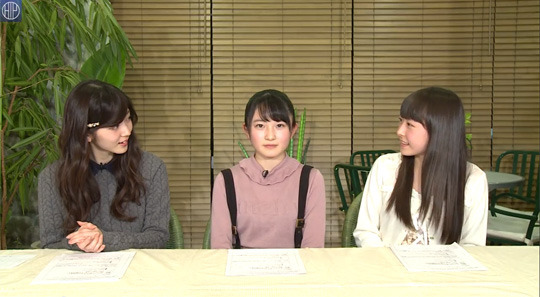 You and the other middle school aged members (Morito, Ozeki) talk a lot, right? Yes. Yamaki Risa and Inaba Manaka are like the older sisters, and the three of us seem to yell a lot more. Do the older sister team say anything to you guys? During the production, they have told us to be quiet. Do you have a rival within Country Girls? I don’t have a rival, its more like I am my own rival. In the other units, what new member are you interested in? 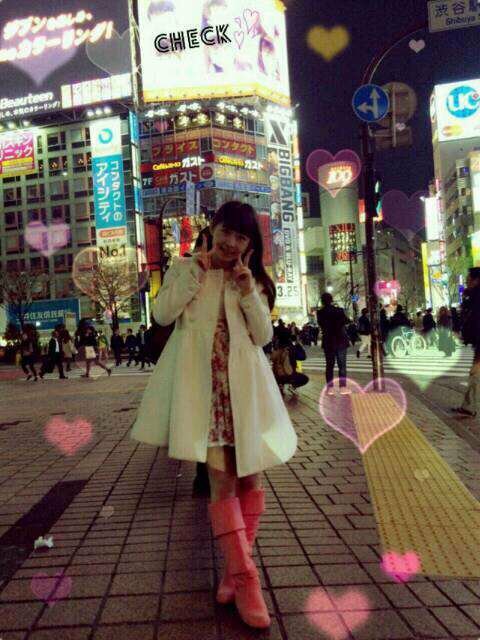 Sasaki Rikako-chan. She always has a smiling face. Also, her dancing is great and big. I’m definitely watching her. I want to become like her. Last, please tell us your personal appeal. ’m inexperienced in dancing and singing, but I will do my best to not lose to anyone. I don’t want to change who I am, but I’m going to do my best to become similar to Momochi-senpai! a hug!!! What was it like?? 'Fresh Catch' Fish of the day? Suzuki: No~ what’s with that line of conversation? Well, I bet tons of people watching right now are thinking they want Uta-chan too. 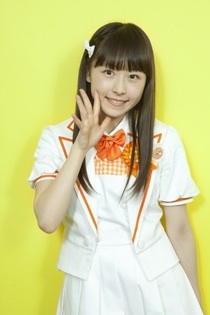 I want to always have my eyes on her ♡♡"
Uta said last summer during the auditions, She and her mother saw Morning Musume. '14's giant Shibuya billboard and both dreamed that Uta would be up there. Now, one of her dreams have been fulfilled. *If me and Uta-chan got married, we would be a married couple with a 30-year age difference. LOL. The wotas are evidently suffering really hard from Uta-chan withdrawal. *There’s a button. If you press it, there’s a 1% chance Uta-chan comes back. However, there’s a 99% chance it will instead cause Fuku-chan serious misfortune. Do you press the button? *Guys, GUYS! 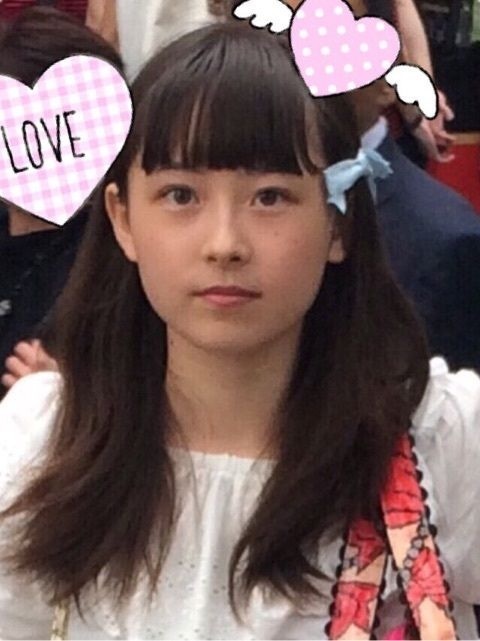 Shimamura Uta came back!!! But alas this angel has arrived!" "Now all my worries are over!" James Darren - "Goodbye Cruel World"